Here’s the current Halloween status at case Eisenberg. Can I just say what a good sport G is? 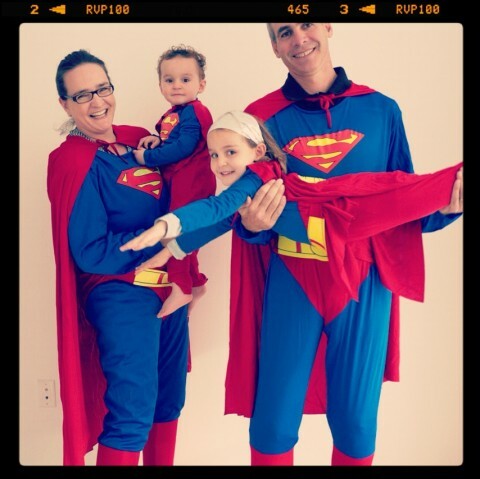 Last year double rainbows, this year Superhero-family! He deserves a medal! Merci vielmals. Haben so gelacht. Grüsse aus der Schweiz? Happy Halloween! This reminds me of the hilarious old Monty Python sketch ‘Bicycle Repair Man’! :D http://www.youtube.com/watch?v=5eCdIe0wdvU Tina, have you ever seen it? I love this! Great family!